do wewe think Mbwa mwitu loups want sarah palin to die? Hi! I play this game called Feral Heart. I'm starting a pack and I need your help! Can wewe come up with any pack names for me? I need mbwa mwitu based clan names for Halo? I am a two mwaka old timber mbwa mwitu and I have a hole in my shoulder from a shooting. Saphira. Thats my name. I'm a wolf, a loner. I cant remember anything of my past except that i was always on my own. My shadow is the only company i have. I am used to being kwa myself but sometimes my moyo aches for the happiness that only a pack can bring. I absolute upendo wolfs!! !They are magistic,fast and beautiful.Wolfs are awsome!! 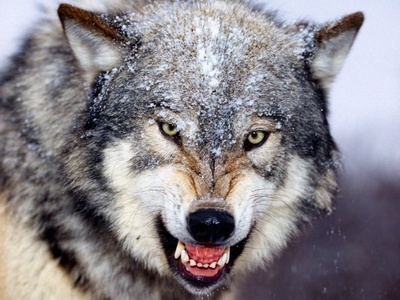 I upendo pics of wolfs that onyesha the power that the mbwa mwitu has when it howls. Baby wolfs rock too.If wewe like pics of wolfs too wewe should look at the pics here at this club.The pics of the white mbwa mwitu with blue eyes and the eyes of the mbwa mwitu are some of faves.If wewe want lots of pics of wolfs look here i am always puting new pics so if iam not i am prob. loged off so thanks for reading.If wewe are a shabiki of my club i will be a shabiki of wewe soo please be a shabiki of me! !Wolf lovers rock!!! Find beautiful mbwa mwitu art and gifts! Commission a portrait! an answer was added to this question: I need wolf based clan names for Halo? an answer was added to this question: Does enyone have cool names for wolves? How many teeth does a mbwa mwitu have?